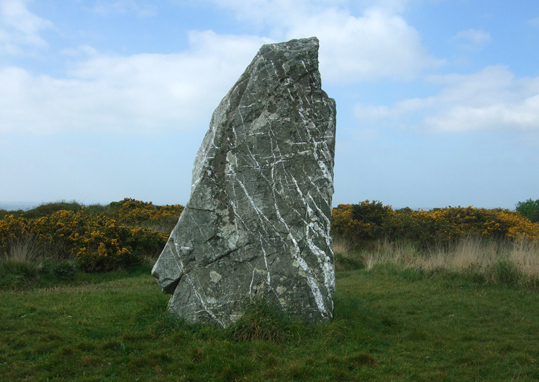 The standing stone probably dates to the late Neolithic to mid-Bronze Age (about 2500-1500 BC) and was much later used as a parish boundary marker. Apparently Men Gurta means The Waiting Stone. I don't know a great deal about its history apart from that, or what it is supposed to be waiting for, but I have been recommended a book called Standing Stones of Land's End: An Enquiry into Their Function. Men Gurta is managed by English Heritage, but there is no charge to visit it and there is open access at all times.